Literacy Solutions offer a holistic approach to literacy and welcomes questions/ queries from anyone with an interest. For particular queries which have not been outlined in any specific area please contact us for more information as even if we are unable to help directly with your particular area of need, we have a wide network of contacts and may be able to provide helpful advice and point you in the right direction to receive the support you need. Literacy Solutions works on the philosophy that every child and young person can achieve with the appropriate support and intervention. As well as offering formal assessment our approach is person centred, allowing them to express their needs and difficulties to allow a package of support to be tailored to their exact needs. You will receive a report outlining their strengths and difficulties with recommendations for how skills can be developed in line with individual learning preferences. Where applicable you will also receive JCQ form 8 to allow for an examinations access application to be processed. All reports are written in accordance with current SASC guidelines. See http://www.sasc.org.uk/(please link to this page) for further details. We also offer assessments for DSA which allow learners to gain additional funding to support them in their University studies. All reports are written in accordance with current SASC guidelines and adhere to the increasingly stringent DSA regulations. See http://www.sasc.org.uk/ for further details. You will receive a report outlining the nature of your difficulties, guidance on areas where support is needed to guide your study needs assessment and more detailed recommendations to provide both personal and academic support. Literacy Solutions believe that everyone can achieve with the correct support and intervention. For many learners’ examination access arrangements which can provide additional time, a reader or a scribe (subject to testing and exam board criteria) can make a grade or more difference and raise the attainment for the child/ young person and the school. All testing and recommendations for exam concessions is in accordance with JCQ regulations. See http://www.jcq.org.uk/ for further details. If you are unsure whether a full diagnostic assessment is appropriate we offer two options for screening to provide an indictor as to whether or not a person may be dyslexic. Option one- a series of tests designed to look at key areas of learning and development to provide a set of scores and an indicator as to whether these scores are consistent with a dyslexic profile. Option two- a series of tests as above but with a more detailed background profile and greater analysis of the testing to allow us to provide you with a more detailed report and recommendations. A series of tests to look at key areas of learning and development in conjunction with a detailed background interview to explore the key aspects of dyspraxia. You will receive a report which indicates the likelihood of dyspraxia and recommendations for support. Literacy Solutions offers screening using the Irlen Reading Perceptual Scale (IRPS) and support for people of all ages who struggle to read because of glare from black print on white paper. 12-15% of the population have difficulties with reading despite intervention for literacy. Visual stress can occur alongside dyslexia or in isolation. Coloured overlays can solve the vast majority of problems for most people. Literacy Solutions uses multisensory teaching methods which are based on the principles of Orton Gillingham. Our aim is to ensure that everyone can read for meaning and a phonics centred approach is just the first step of this process. All teaching is tailored to the individual needs of the child or young person and their learning preferences, with the aim of building their confidence as well as enhancing their literacy skills. We can deliver regular sessions or provide less frequent strategy based sessions to allow learners to develop their skills independently. • Assisting with the completion of paperwork including SENDIST tribunal. • Home school liaison, with home visits to support parents in understanding the complexities of the SEN process where required. • Short or long term cover for absent SENCos. • SENCo consultancy for small settings where a full time SENCo is not required. • Attending meetings to provide advice on the complexities of the SEN process. • Advice on understanding an assessment report and support in putting the recommendations into action. 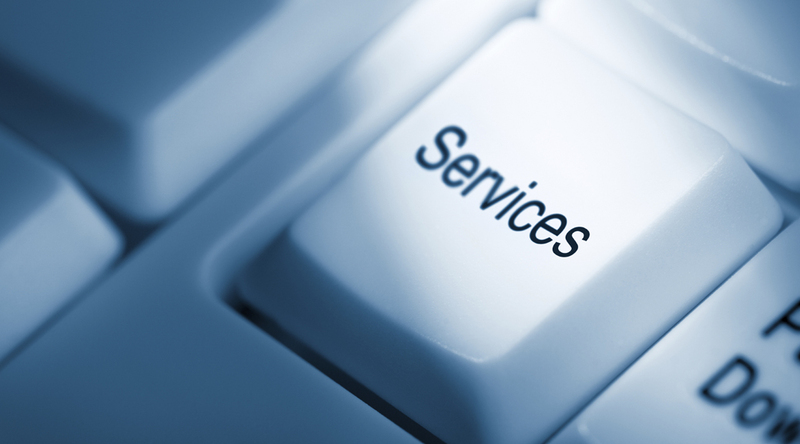 The above list is not exhaustive it is just some examples of how some settings have used our SENCo services. Please contact us to discuss your specific needs. Literacy Solutions offer a range of consultancy services for educational settings and work places. • One to one or small group meetings to discuss questions on dyslexia and how this may manifest in a specific group. The above list is not exhaustive it is just some examples of how some settings have used our consultancy services. Please contact us to see how we can support your individual consultancy needs. Literacy Solutions offers a wide range of training options in a range of areas. Basic awareness raising sessions in dyslexia, dyspraxia, visual stress and dyscalculia, this includes an overview of the specific learning difficulty how you would identify it, how it manifests in learners and most importantly some strategies to support learners. Bespoke training to provide a more in depth and tailored approach and allow expert advice to be included in an INSET or CPD day. These can also be delivered over a number of shorter sessions. Mentoring to support specific actions in literacy which are identified through an ofsted inspection to support school improvement planning. The above list is not exhaustive it is just some examples of how some settings have used our training services. Please contact us to discuss your specific training needs. We also offer a range of “off the peg” training through our host a course scheme which allows the host setting to get a free place for two members of staff on their chosen course. Access to work is a government scheme to allow equal opportunities in the work place. Literacy Solutions offers coping strategies to support people in carrying out their job effectively and work based training to support work places in becoming dyslexia friendly. See https://www.gov.uk/access-to-work/overview for more information on Access to Work. Literacy Solutions are passionate about helping everyone. Whilst we believe in early identification of learning difficulties; some adults may not have had access to literacy intervention in their childhood and may wish to develop their skills to allow them to enhance their career prospects. The above list is not exhaustive it is just some examples of how some adult learners have used our services. Literacy Solutions believes that all teachers should be a teacher of special needs and is passionate about multi sensory teaching being used to meet the needs of all pupils not just those who are dyslexic. Sara Graham is an experienced lecturer and is a regular tutor at the University of Chester on their MA Dyslexia Research and Practice Programme and SENCo award, she has also been invited to the University as a conference speaker for PGCE students designed to raise awareness of inclusive learning strategies and to run staff CPD sessions to raise awareness in a range of specific learning needs. Other universities have also used her to facilitate workshops to raise awareness of specific learning difficulties. Education is not exclusive to school. Many learners who are educated in establishments other than school have not had their needs met adequately by mainstream settings for a variety of reasons. We can provide our full range of services to children and young people who are educated at home or in a care setting. These Children and Young people often have literacy difficulties which can be attributed to Dyslexia and visual stress or other difficulties, which affect literacy attainment, and as a result of their frustrations they become disaffected, which can lead to exclusion from mainstream school and offending behaviour. Prison Reform Trust (2003/2004) Report on ‘Social Characteristics of Prisoners’. Within the population of the United Kingdom around 4% of people are severely dyslexic and a further 6% have mild to moderate dyslexia. However, within the country’s prison population 80% of prisoners have poor writing skills, 50% have reading difficulties and 65% have trouble with numeracy. Half of all prisoners are at or below the level expected of an 11 year old in reading, two-thirds in numeracy and four-fifths in writing. Literacy Solutions acknowledge that literacy difficulties can impact negatively on self esteem, and whilst the children and young people need intervention to address their difficulties, their families also need support. This may be as simple as attending a meeting with the school to explain the difficulties that the child or young person is experiencing or it maybe provision of more complex support such as understanding the changes of process in funding. Each family will have a different need and we welcome queries from all families whatever their needs. All our clients receive advice and support as part of our service to them. The above list is not exhaustive it is just some examples of how some settings and families have used our advice services to follow up assessments or consultancy work. We can also be commissioned specifically to provide advice services.